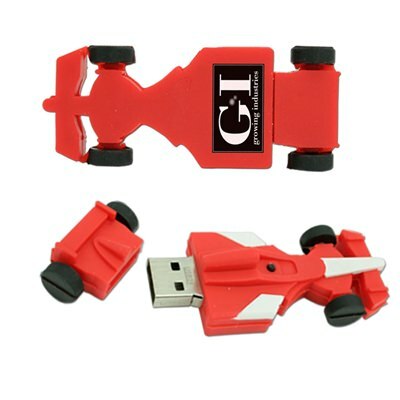 Pull ahead of the competition with this unique, one-of-a-kind promotional flash drive! 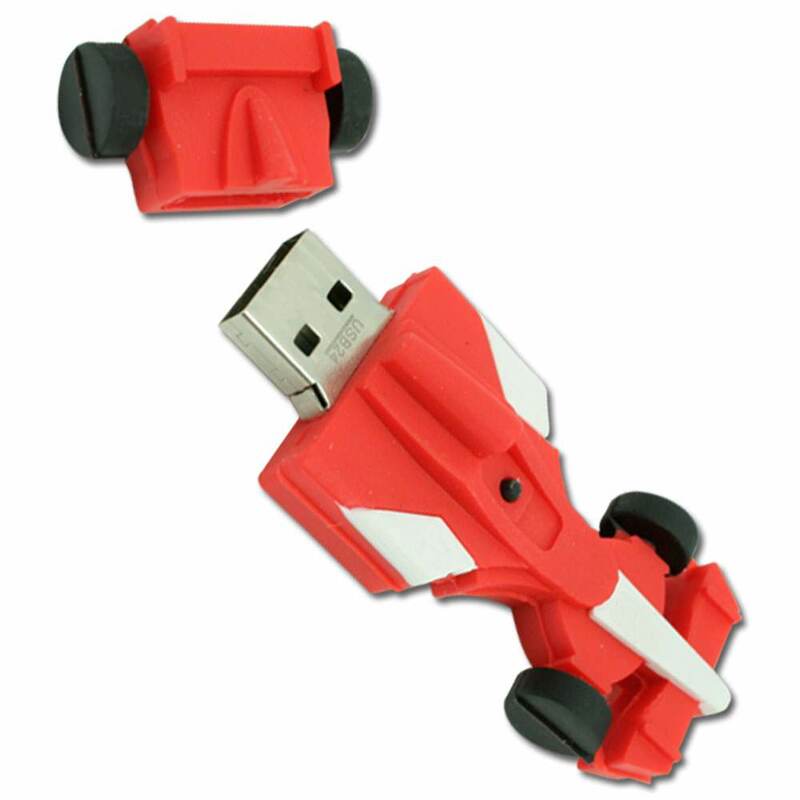 The Racer is a high performance USB drive that’s shaped like a race car. 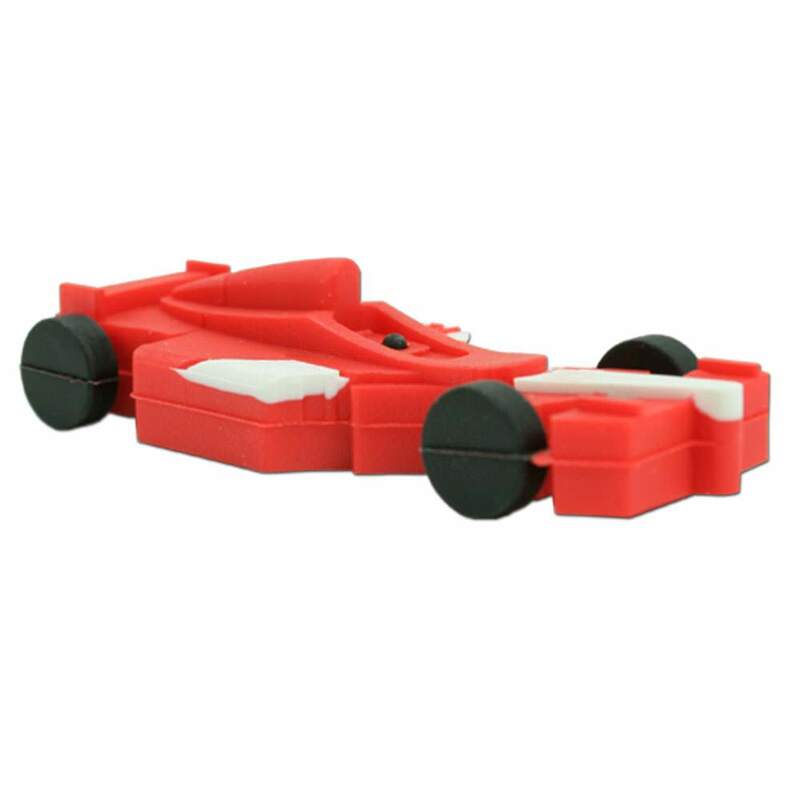 This fun drive is made out of soft PVC and comes in either bold red or yellow colors. The Hi-Speed USB drive has high data storage capacities, 10 years of data retention, and comes with a limited lifetime warranty. The Racer comes with a Free 4-Color Silkscreen, so you can customize it with your logo or personal brand. 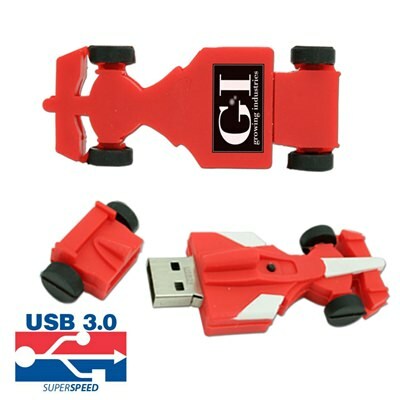 This Hi-Speed USB is so fast we put wheels on it! 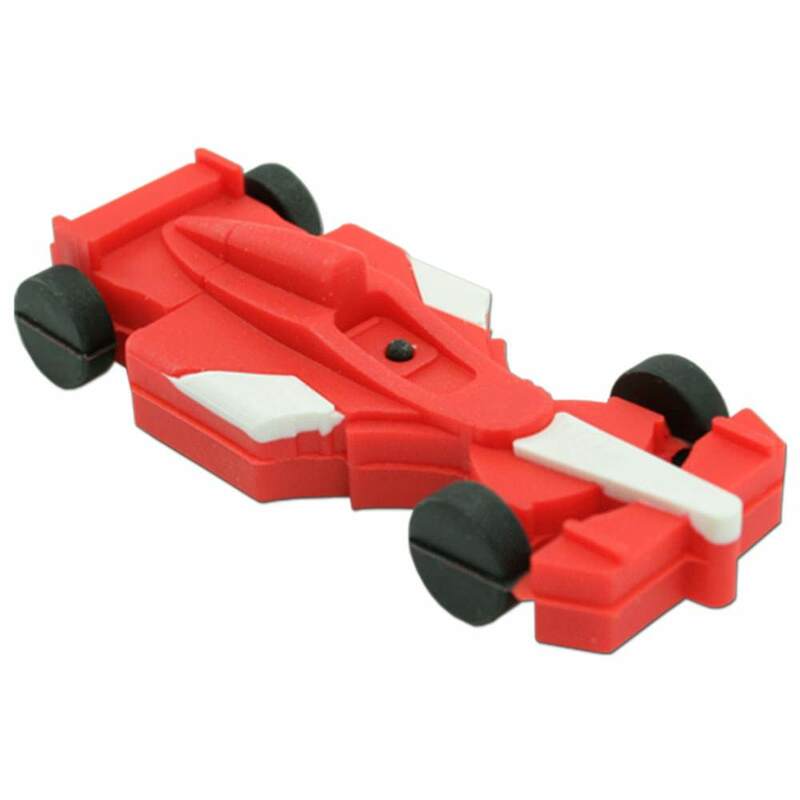 Our Racer USB Drive is one of our funnest models, made with a unique race car shaped designed. It’s a high performance flash drive that will put you miles ahead of your competition! 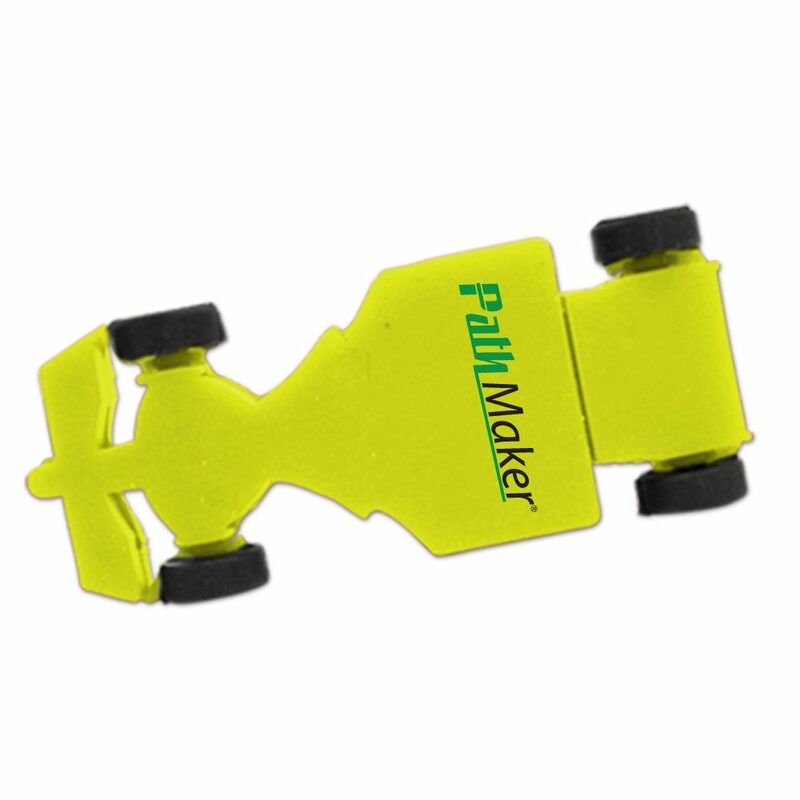 This four wheel data storage device is made out of soft PVC and comes in either a bright yellow or brilliant red. It’s compact and small, making it easy to transport. The Racer has data storage capacities ranging from 128MB to 32GB, perfect for storing documents, pictures, music, presentations, videos, multimedia, and other important files. The drive has a shock resistance of 1,000G, up to 10 years of data retention, and a limited lifetime warranty. The Racer is compatible with PC, Mac, and Linux. A driver for the Racer is only required when using Windows 98/95. Order the Racer with free shipping and it will cross your finish line within 10 business days. It comes with a Free 4-Color Silkscreen. Customize this four wheel drive with your logo or brand printed on its body. It’s a great way to make a memorable first impression and show off your fun side when dealing with customers and clients.